MÉSOFORCE takes its inspiration from mesotherapy to visibly revitalize the skin. 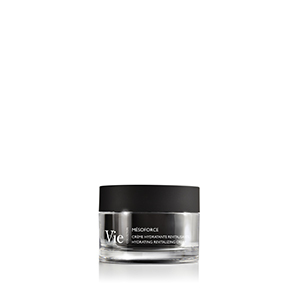 Its formula contains a cocktail of vitamins and hyaluronic acid to reveal, upon application, hydrated skin and a radiant complexion. 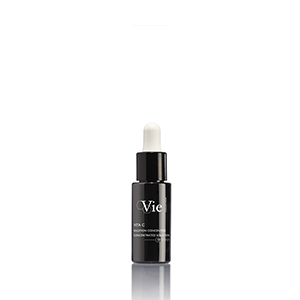 With each application, skin looks visibly smoothed and plumped. High molecular weight hyaluronic acid plays a vital role in regulating skin hydration thanks to its strong water-retaining power. Like a reservoir, it forms a non-congesting moisturizing film and retains water on the surface of the skin. Results: The skin is moisturized and transepidermal water loss is stopped. VITAMIN B5: Skin hydration is enhanced. VITAMIN E: The skin is refreshed and the complexion is brightened. *Satisfaction test conducted on 23 women after the 1st application. **Measurement of the level of hydration by corneometry® on 11 volunteers after a single application. *Satisfaction test conducted on 23 women after 2 applications per week for 28 days. A moisture-rich gel with vitamin-packed beads (vitamin E) for an immediate burst of radiance and an ultrasoft finish. An energizing fragrance with citrusy notes.